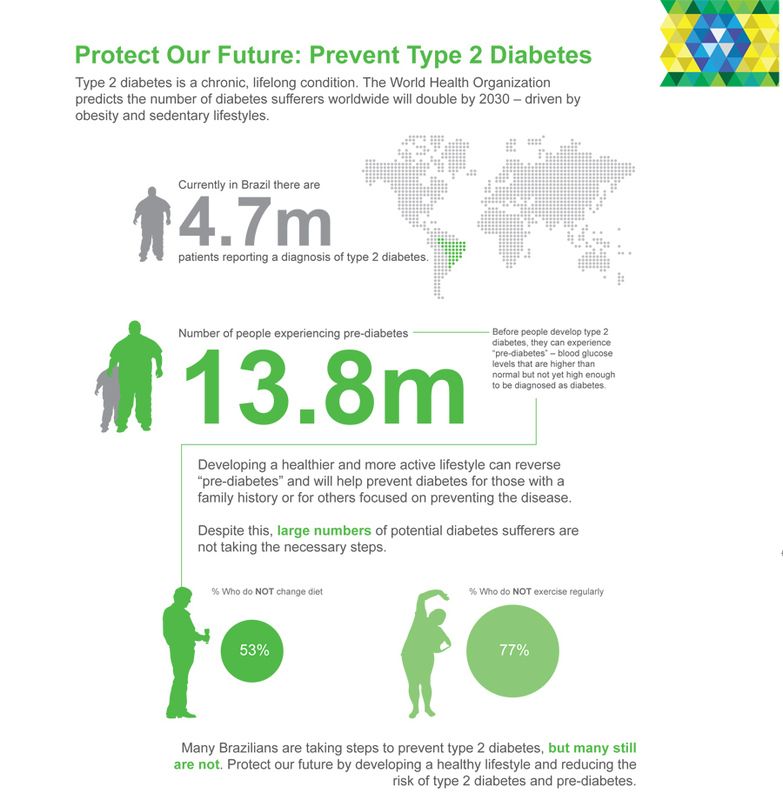 Type 2 diabetes is a chronic condition that is reaching epidemic proportions across the world. This infographic gives the key facts about its impact in the emerging market of Brazil. 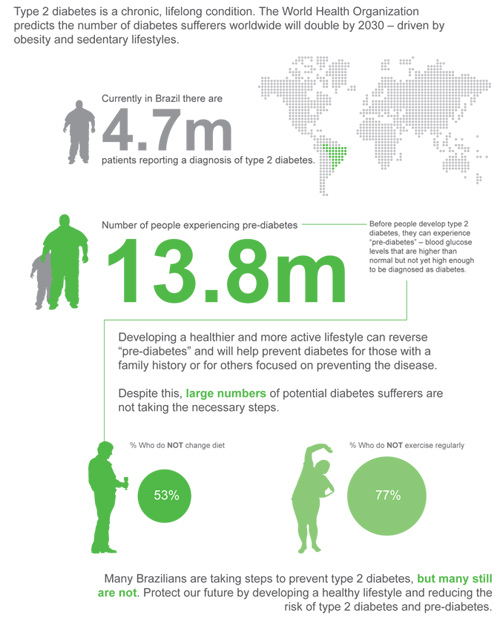 Read 'Brazil: Patients access and education in type 2 diabetes' for more information. Kantar Health. National Health and Wellness Survey, 2011 [Brazil]. Princeton, NJ.